Get Your Tickets To The Ronald McDonald House Ball! It's almost time for the Ronald McDonald House Annual Ball in Orange! 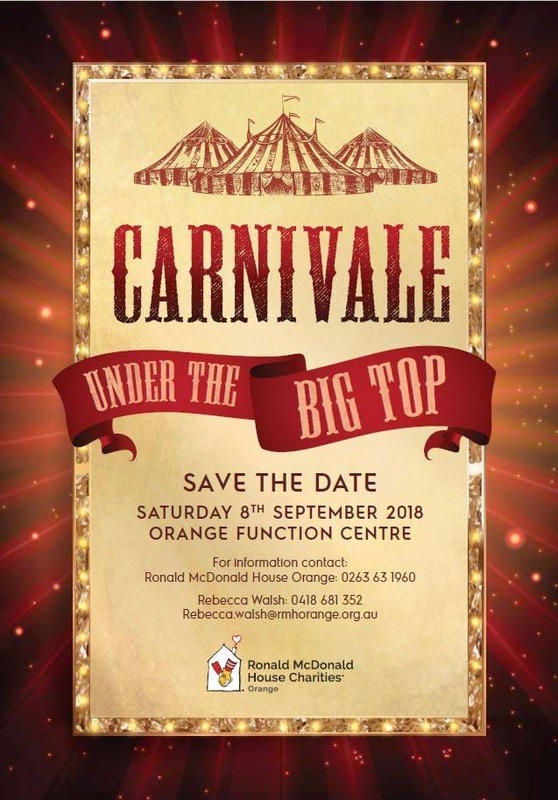 This year, the theme is Carnivale Under The Big Top and will be held on Saturday, September 8! There will be some amazing prizes for the silent auction and raffles to take part in! Tickets are already on sale and cost $170. To purchase yours, simply contact 02 6363 1960 Monday-Friday 9am-3pm.